Part 1: Penny’s “Acting Barre” -A series of exercises developed to stretch and strengthen acting muscles; From opening up the emotional life to recreating a real life person as a character, use all of the elements of the Structure found in Chapter 7 of ACTING LIONS. PART 2: The actor is trained to work quickly on camera with cold audition scenes. They then work on the same scene at home with their own camera to deepen their craft onscreen. The following week those scenes are played back on our large movie screen. These scenes are chosen to compliment the new scene they are working on in depth each. This process develops both the actor’s ability to make strong choices quickly in an audition situation and the skill to use their craft on their own to do the deep digging necessary when they are playing the part. Our Acting Lions work on 48 different on-camera audition scenes each year. The results of this two-pronged effort are that over time, the actor’s choices become stronger and more focused in the audition situation and they become experts at self-taped auditions. PART 3: Scene Study. The actors are trained to prepare on their own (i.e. script analysis, sensory, and substitutions). They then work on stage with the other actors, under Penny Templeton as director. This will follow the same rehearsal process as a professional theater environment. The first class of each month starts with a Table Read , as the actors explore the material of the new scene. As in the real world, they then take the scene home and work on it by themselves, bringing in the results of their work to the next class. 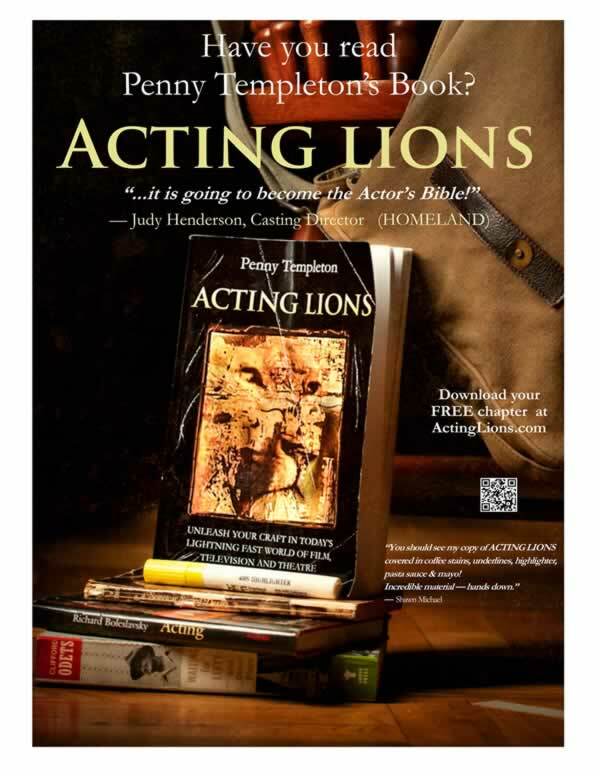 The purpose is to create “Acting Lions”: actors whose technique and training gives them the tools to be artistically fierce performers.